Lorraine A. Proctor, 94, formerly of Northfield passed away peacefully at Mtn. Ridge Center, Franklin on November 26, 2018. She was born in Northfield, NH on January 25, 1924 the daughter of Henry J. Ketchum and Eva M. (Theberge) Ketchum. She graduated from Tilton-Northfield High School in 1944. She worked for more than 35 years in the waxing department of the Arwood Corp. where she was their first ever female supervisor. 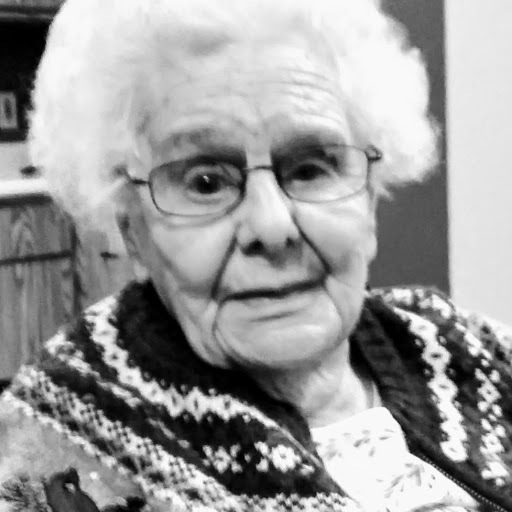 Following her retirement she worked part time as a lunch lady at the Tilton and Northfield schools where she was known by many of the children as "Grammy Lunch Lady". She was a lifelong communicant of St. Mary of the Assumption Church, St. Gabriel’s Parrish in Tilton, NH. Family members include 2 sons, Winston Savage and wife Monique of Laconia and George Savage and wife Donna of Franklin. 4 grandsons: Scott M. Savage, Scott R. Savage, Joel Savage and Adam Savage. Also, 3 great-grandsons and 2 great-granddaughters. As well as loving nieces and nephews. She was predeceased by her husbands Fred Savage and Harold Proctor. 2 brothers, Henry H. Ketchum and Robert Ketchum as well as well as 3 sisters: Norman Gorman, Elizabeth Guyer and Mae Bourgeois. She was a lifetime member of The American Legion Auxiliary, Post 49, Tilton-Northfield where she held most all state and local offices. She was also a long-time member of the Belknap-Merrimack Salon of the 8-40. She loved traveling, gardening, spending time with her family and her dog Lilly. Visiting hours will be held on Thursday, Nov. 29, 2018 from 5-7:00 pm at Paquette-Neun Funeral Home, 104 Park St., Northfield, NH. A Mass of Christian Burial will be celebrated on Friday, Nov. 30, 2018 at 10 am at Assumption Church, Chestnut St., Tilton. Spring burial will be in St. John Cemetery, Tilton. Donations in Lorraine’s memory may be made to St. Gabriel’s Parish, PO Box 490, Franklin, NH 03235 or the Franklin Animal Shelter, 19 Rescue Rd., Franklin, NH 03235.